STOP PRESS - Feb 2019! We have just purchased a new embroidery machine to do small quantities ourselves. 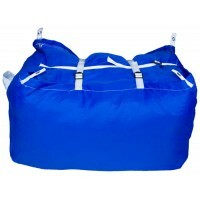 We have therefore reduced the cost for less than 15 and taken away the minimum quantity restriction. If ordering less than 15 please allow extra time for us to familiarise ourselves with the new machine. 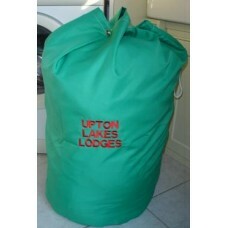 Personalised bags or display your company name - makes ideal corporate gifts or to identify your bags. We would recommend embroidery in preference to printing as embroidery provides a more professional and quality finish, which we can do more economically than printing. Enter the text to embroider and your colour preference in the options and add to basket. Please call us for any specific embroidery requirements or different text per bag. The size of the characters depends on the amount of text, with a maximum of 1" character height for up to 12 characters at the base price. Additional charges apply for more than 12 characters. Maximum embroidery width is 20cm. 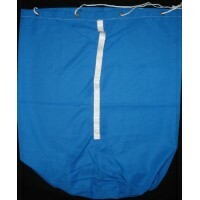 Embroidery takes approximately 2-3 weeks if ordering more than 15. For less than 15 please contact us. I am absolutely over the moon with my bags. Thank you very much what a fantastic job and so quick as well ! 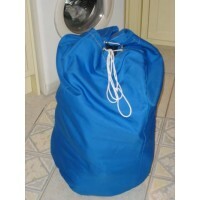 Laundry Bag Commercial Laundry Bag Carry Sack (any colour) / No colour preference - Please se..